Black metal is like a psychiatrist for the world. That enlightening viewpoint comes via Wolves in the Throne Room drummer Aaron Weaver, who recently spoke with Brooklyn Vegan about his "ecological" mindset. 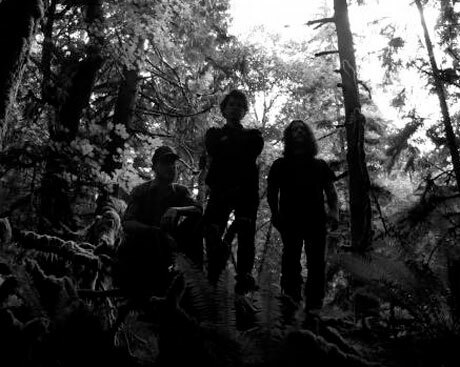 While the concept seems shocking at first, one has to remember that this band from Olympia, WA, has garnered more column inches than many of the "Satanic" acts over the years for their very liberal - and very un-black metal - opinions. Through interviews, Wolves in the Throne Room continually offer their support or sympathies towards left-wing politics, eco-feminism and environmentalism, as outlined here in Weaver's comments on how black metal is culled from a deeper source than the obvious evil connection. "I think that black metal fundamentally is an attempt to reawaken an ancient spirit," Weaver said. "It's an attempt to touch some sort of transcendent primal knowledge that I think human beings had access to up until three or four hundred years ago when the world changed so much with the Enlightenment and the Industrial Revolution. I think that black metal is an artistic movement that is critiquing modernity on a fundamental level saying that the modern world view is missing something. It's missing acknowledgement of a spiritual reality. That estrangement from spiritual knowledge is the source of very deep sadness and alienation. I think that is fundamentally what black metal is all about." He continued, "I think that once you take that fundamental thesis as fact, you can go in any number of different directions with it. You can expand on it in the way that Watain has done and you end up with this deeply Satanic and nihilistic manifestation. Or you can do what Wolves in the Throne Room has done, which is to essentially take that sadness and alienation that we feel and try to transform it into something that is fundamentally positive and life affirming or do something in between. "It's an interesting thing because so many people look at black metal and say, 'Well it has to focus on the absolute darkest depths of human experience or it needs to be Satanic or nihilistic.' I don't believe that to be the case. I think that the Satanism and the nihilism is just a surface level sort of thing and beneath it lies a deeper and more primal issue." It's not as crazy as it initially sounded, is it? And that's even creepier.